The city of PyeongChang is considered one of the safest places to live in South Korea. Read all about this city before the 2018 Winter Olympic Games begin. PyeongChang is located in South Korea's Taebaek Mountains. This county in Gangwon Province is roughly 110 miles southeast of South Korea's capital, Seoul. PyeongChang is also only approximately 50 miles from the border of North Korea, but it is still considered one of the safest places to visit. This mountainous country covers an area similar to the size of Houston. PyeongChang holds the nickname "the Alps of Korea" due to its elevation of 700 meters above sea level. Various tourists visit the area, which is well known for ski resorts. Alpensia Resort is the largest, containing six slopes for skiing and snowboarding. South Korea won the bid after losing for multiple years. The country had bid for both the 2010 and 2014 Olympic Games. This will be the second time the country has hosted Olympic Games, the first being the 1988 Summer Olympics. The hope is that the Winter Olympics will increase the tourism to PyeongChang. South Korea built seven venues in preparation for the 2018 Winter Olympics, and renovated another six. The country also built a new 250 km per hour KTX line to minimize the time it takes to get from Seoul to PyeongChang, allowing for better travel time and accommodation options. The Alpensia Resort, which includes various hotels and a ski resort, was also built to accommodate spectators. The hopeful incline of tourism has also motivated people to build and open more restaurants around the area. All ice sports will be held in South Korea's coastal city, Gangneung. The city built a new ice hockey arena, as well as a long-track speed skating arena. The Gangneung Ice Arena was built with a sophisticated system that allows the ice to melted and then re-frozen in order to ensure that it is in the best condition between competitions. A new highway has been added, connecting Gangneung to Seoul, making the travel time between the two to be about an hour. The "mountain cluster" of PyeongChang holds the venues for skiing, snowboarding, and the biathlon. Each venue is expected to be less than a 30 minute drive from the athletes' village. The Opening and Closing Ceremonies will be held in the newly built Olympic Stadium. The Alpensia Sports Complex will be home to the biathlon, cross-country skiing, and ski jumping centers. Bobsledders will be competing in the newly constructed Olympic Sliding Center, which cost South Korea $114.5 million to build. Yongpyong Alpine Center, a different resort than the Alpensia, will host the slalom events. Freestyle skiing and snowboarding, which still requires use of Mount Taegi, will be held in the Phoenix Snow Park in Bongpyeongmyeon. Miles away, the remaining ski events will be held in the Gariwang mountains, The Jeongseon Alpine Center, which hosted the World Cup skiing events in 2016 and 2017, will be the venue. South Korea reportedly spent around $13 billion to prepare for the 2018 Winter Olympics. The new Olympic Stadium was built for approximately $109 million, but despite the high cost, was built without an overhead cover. This decision has been questioned, as PyeongChang is one of the coldest areas in South Korea. In February, the high is usually 33 degrees Fahrenheit, and the low is expected to be 17 degrees Fahrenheit. Due to the lack of a heating system in the new Olympic Stadium, service members will be located around the building, handing out blankets, rain coats, and heating pads. The new stadium seats 35,000 spectators. Ticket sales are a slight concern due to the lack of interest South Koreans show for winter sports in general. 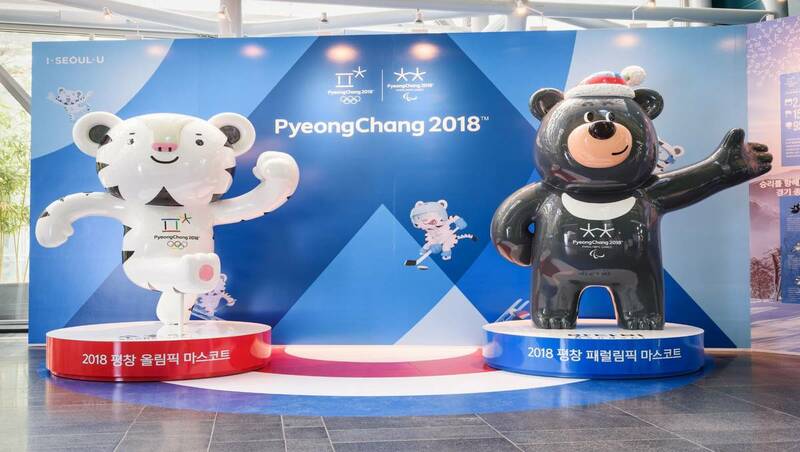 The renovation sparked questions due to this and for what purpose the stadium will hold after the Games, as PyeongChang only has a population of 40,000 people. Organizers in South Korea have stated that these new buildings may be demolished after the Games, in order to avoid the decay of unused complexes.